There are few things in this world more inspiring than watching children’s imaginations run wild. That’s what I and several other CannonDesign team members learned when we took part in the 2015 St. Louis Earth Day celebration this April. Reportedly the 2nd largest Earth Day celebration in the United States, the St. Louis event takes place in the city’s historic Forest Park and offers local organizations an opportunity to engage the community and celebrate our planet. 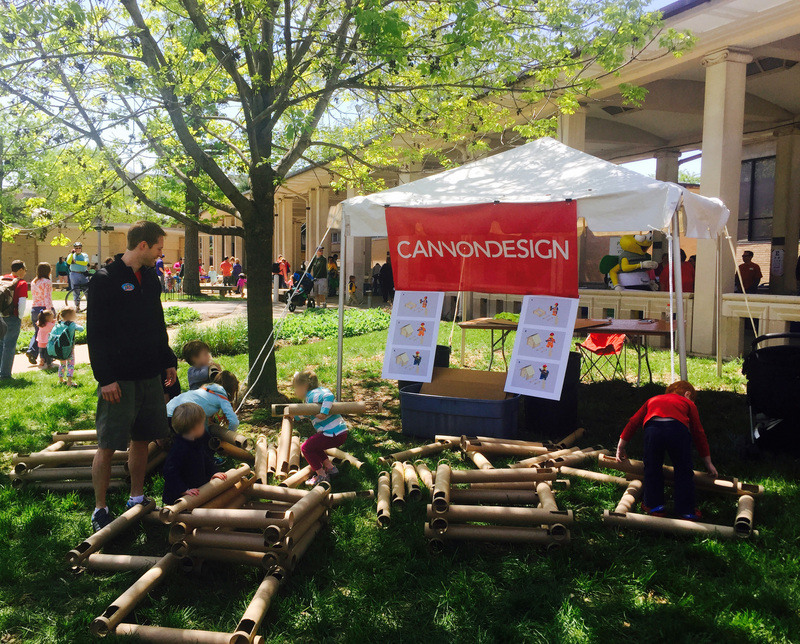 CannonDesign’s Green Team came up with an event that would invite children to build famous architectural designs out of cardboard plotter paper tubes – aka cardboard Lincoln Logs. Our team held an internal competition to determine the designs we’d have the children create. The children we met in Forest Park picked up quickly on the design intent and learned about RFIs, Lincoln Log punch lists and other design requirements. Not surprisingly, the children also found scores of other uses for the cardboard tubes that went beyond our suggested designs. Everything from buildings, furniture and all structures in between were created. While we were able to teach the children core design concepts and strategies – they showed us numerous ways we’d have never considered to use the cardboard tubes.The whole event was a perfect example of how a typically discarded material – the cardboard tubes – can actually be valuable across a number of different applications. We spoke with the students about how bringing this vision to our work as designers is critical to achieving sustainable solutions. We further demonstrated the concept by donating all the cardboard tubes to a local organization that collects and repurposes materials for use by teachers and schools in disadvantaged areas of St. Louis. All in all, the day proved successful on multiple levels – the weather cooperated, we were able to depart a key message of sustainability to the city’s future designers, and we helped our local schools. Imagination has the ability to turn the unused into the valuable and the undiscovered into reality. 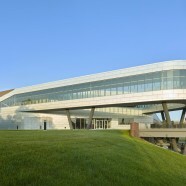 Our team at CannonDesign also left inspired. Watching the children turn cardboard Lincoln Logs into architectural wonders, we were reminded of how imagination has the ability to turn the unused into the valuable and the undiscovered into reality. It’s an important reminder for us to bring that fresh perspective to our design and sustainable work on Earth Day and every day.